To congratulate a creative and extraordinary person, as well as to express your deepest emotions is possible with the help of a bouquet of black roses, which can be ordered in the online shop KROKUS. Choosing a gift for an extraordinary and creative person, you have to use all your imagination. Often the search for an original present takes more than one day, and the gifted thing does not give the recipient proper delight. It is known that the most popular and desired gift for any holiday were and are fresh flowers. Not only women, but also strong men like to receive compositions from roses. So why not to please a loved one with a unique bouquet of black roses, which you can order in Riga (Latvia) at a very favorable price? Fast delivery roses to riga online is available for customers of KROKUS studio! Traditionally, black is considered a symbol of mourning. 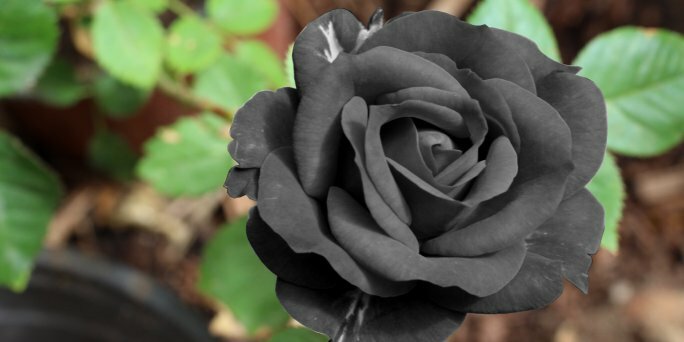 Indeed, black roses are presented in a sign of sorrow, compassion, grief, loss, empathy. However, these flowers mean not only sadness. The composition of them will be an excellent gift to a strong man, as well as to an artist, a designer, a musician and any other person, whose activities are connected with new beginnings, creativity, interesting work. Giving black roses, you wish the gifted success, courage and strength in overcoming future life obstacles. The only difference of this bouquet is that it is not suitable for expressing sympathy and affection. Where to buy a bouquet of black roses in Riga (Latvia)? Many customers from Riga and other Latvian cities are interested in the question: «Where to get a bouquet of black roses?" To find such an exclusive composition is not easy, however, the online shop KROKUS is pleased to offer its customers these wonderful flowers, elegantly decorated in a chic bouquet. You can supplement black roses with stylish packing, a hatbox, textiles, bijouterie and other accessories. For a bouquet of black roses for sale we use only the freshest Riga and Latvian flowers. In addition, the delivery of compositions is carried out by specialized transport, so that each client receives the goods of the highest quality. A purchase flowers bouquet in riga online is the easiest and fastest way to find a gift for any holiday! How much is a bouquet of black roses in Riga (Latvia)? Do you want to buy a composition of black roses at a bargain price? Then feel free to contact the online shop KROKUS .The cost of a bouquet consisting of 9 fresh flowers will be only 32 euros! Of course, you can buy absolutely any number of black roses by making an order on our website or simply by calling the company manager at the specified number.